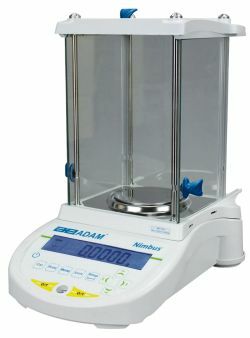 The Adam Equipment Nimbus NBL 254e analytical balance has a capacity of 250 grams and a readability of 0.1 milligrams. 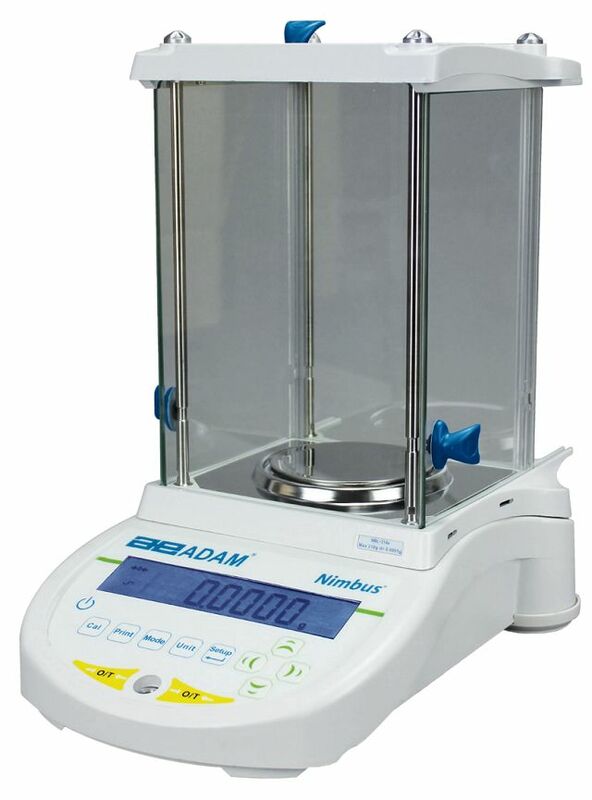 These research grade laboratory balances succeed the very successful PW series and incorporates the PW series advancements, like a solid metal base, but goes further by adding a weighing block crafted from a single block of metal. The extruded aluminum base gives the Nimbus better thermal transfer and the solid metal core increases structural rigidity and stability. The new weighing mechanism is made from fewer parts than a traditional magnetic force restoration motor and provides faster performance and more durability. All Nimbus balances feature backlit LCD displays, sealed keypads and color coded keys. The Nimbus analytical balances also feature removable draftsheilds and an innovative pan lifter to easily remove samples. These new balances offer a superior grade of performance and we sell them for less than anyone else.